Mullin/Ashley had developed the first modern website for this Delmarva-based manufacturer of adhesives and coating systems back in 2011. 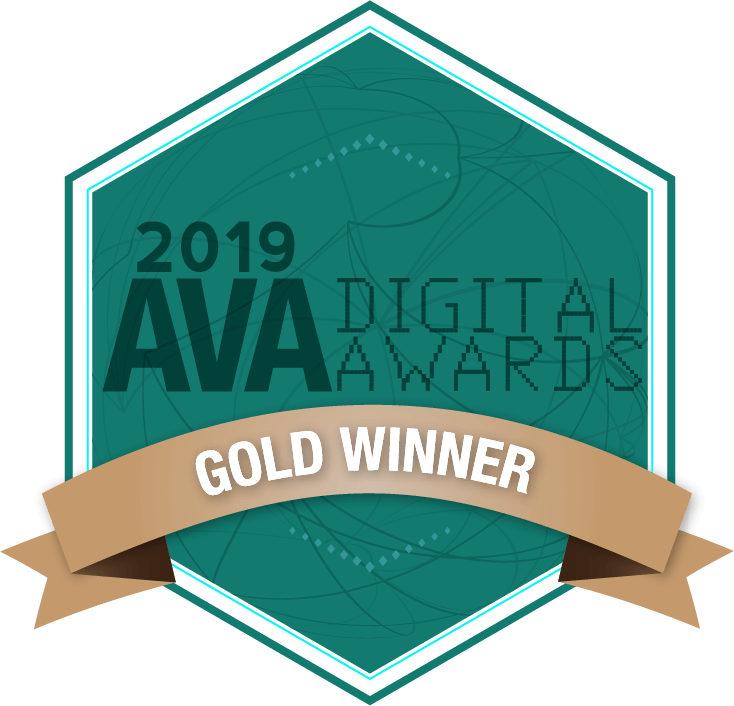 With the evolution of how visitors interact with B-to-B websites, it was time to build a new site to more clearly align with changing web browsing behaviors. 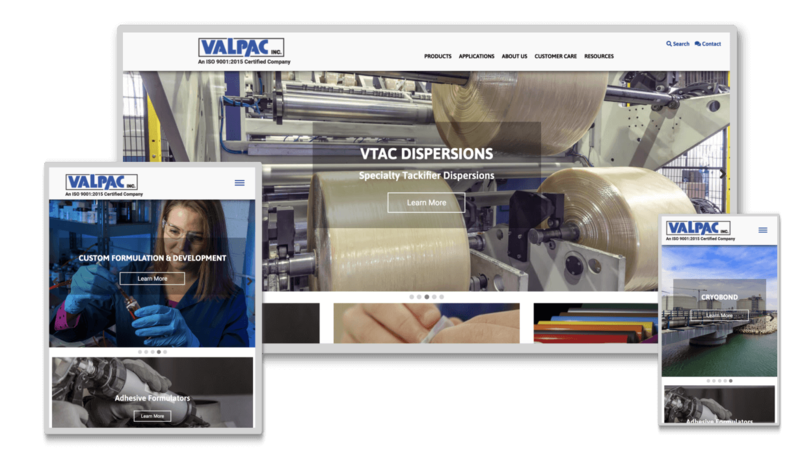 Because the informational content on Valpac’s existing website was already comprehensive and up-to-date, we were able to focus our energies on creating a design and navigation that would be optimized for mobile devices and tablets as well as desktop units. New custom photography, shot at Valpac’s facilities in Federalsburg, MD, added more context and visual appeal to the site’s appearance. 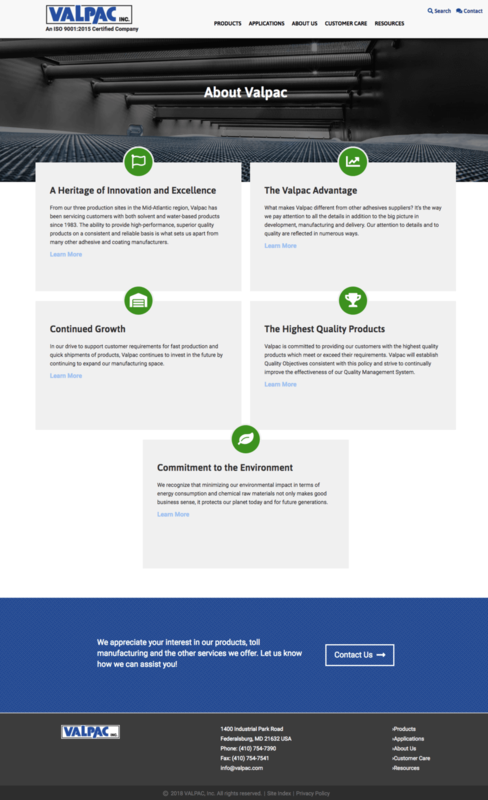 Once the proposed website design was presented and approved, the migration of existing content was accomplished swiftly and smoothly, along with adding more call-to-action tools to increase customer engagement with Valpac’s extensive custom product and toll-coating capabilities. Efficiency and timeliness were the name of the game in this web development project. The creative design of the website was developed, presented and approved in just two weeks. Following completion of the new on-location photography, the entire site buildout, client review and launch happened inside of three weeks.